VIEW UK DATES- BOOK NOW. A highly interactive course, delivered by the instructor Inga Kroener. Real world examples really assisted with bringing the content to life. Professionally delivered and great facilities. Recommended. Fantastic presentation from the instructor Inga. Made the content easy to understand, and left feeling well prepared for the IAPP CIPP/E exam. I attended the two-day CIPP/E course provided by JAW Consulting UK. This was part of my preparation towards the qualifying exam. I found the communication leading up to the training event to be clear and concise - providing me with the information I needed for planning my schedule. For the course, beyond merely regurgitating the training material, I was looking for industry insights and thought leadership from the instructor. I also hoped that the quality of participants at the training would help drive discussion based on practical experiences. On both these requirements, JAW Consulting UK delivered. I attended the IAPP CIPP/E Training Course at JAW Consulting UK's offices in London, UK. I attended the IAPP CIPP/E Course provided by JAW Consulting UK. As someone relatively new to the area of Data Protection & Privacy, I considered the course covered a very valuable topic to learn about. Having both case studies and real-life examples to demonstrate and discuss how the regulation applied was very useful. The reputation of the IAPP is widely recognised, so overall a great course to attend if you are looking to demonstrate knowledge of the EU GDPR and UK Data Protection. It will be a great skill and competence to apply to future organisations I work with. As a recruitment process outsourcing business with blue-chip clients, we take the protection and privacy of personal data very seriously. As part of our internal GDPR Programme, I attended the 2-day IAPP CIPP/E course in London with JAW Consulting UK. Starting the course with a limited knowledge of the subject matter, the instructor was able to convey complicated topics very effectively. I found both the study guides and the practical examples discussed particularly useful. I am an in-house lawyer working in a small commercial team. GDPR knowledge is invaluable and this course provided practical guidance on its requirements and practical application, which is key to understanding the Regulation. The course delivery was excellent and I would recommend Jaw Consulting UK to others, especially if you want a small class environment with a CIPP/E qualified trainer. JAW Consulting UK conducted penetration testing for us to allow us to ensure we are managing any information risks correctly. They communicated the process clearly and managed the project professionally and thoroughly. Once the testing was completed they not only worked with us but with our technology partners to explain any issues or areas of weakness in context to ensure we were future proving our business. They worked in partnership with us and gave us peace of mind with their industry standard Security Testing Methodology. Our two-day CIPP/E Training Course (IAPP- Certified Information Privacy Professional Europe) encompasses pan-European and national data protection laws, key data protection terminology and practical concepts concerning the protection of personal data and trans-border data flows. 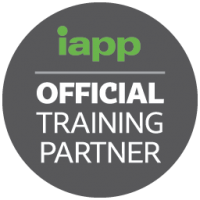 As an Official IAPP Training Partner, JAW Consulting UK is uniquely positioned to deliver both theory and practical guidance of complying with the EU GDPR. There is no better way to prepare for the EU GDPR or for a role as a Data Protection Officer (DPO) than by receiving CIPP/E Training (IAPP Certified Information Privacy Professional Europe) and obtaining a world-renowned, ANSI/ISO-accredited certification. 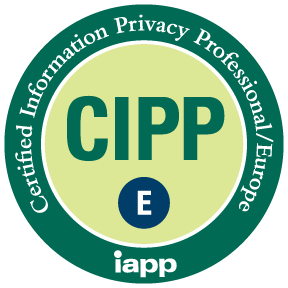 Since 2000, the CIPP/E (Certified Information Privacy Professional Europe) has been recognised as the world’s leading credential in the business of data privacy. When you earn the CIPP/E credential you are joining a highly respected group of knowledgeable, capable and dedicated data protection & privacy professionals. Achieving a CIPP/E credential demonstrates comprehensive EU GDPR knowledge, perspective and understanding to ensure compliance and data protection success in Europe—and can to take advantage of the career opportunity this sweeping legislation represents. Find out more. Founded in 2000, the IAPP provides a forum for privacy professionals to share best practices, track trends, advance privacy management issues, standardise the designations for privacy professionals and provide education and guidance on opportunities in the field of information privacy. The IAPP has developed a full suite of educational and professional development services, including privacy training, ANSI/ISO accreditated certification programs, publications and annual conferences. Find out more. The CIPP is the global industry standard for professionals entering and working in the field of data protection & privacy. Achieving a CIPP/E credential demonstrates understanding of a principles-based framework and knowledge base in information privacy within the European context, including critical topics like the EU-U.S. Privacy Shield and EU GDPR (including Mandatory DPOs). Be recognised as part of a respected group of knowledgeable, capable and dedicated privacy and data protection practitioners. The CIPP/E training course was developed by the IAPP and delivers the comprehensive GDPR knowledge, perspective and understanding to ensure compliance and data protection success in Europe. Introduces key European data protection (EU GDPR) laws and regulatory bodies, describing the evolution toward a harmonised European legislative framework. Defines and differentiates between types of data including personal, anonymous, pseudo-anonymous and special categories. Defines data processing and GDPR processing principles. Explains the application of the GDPR and outlines the legitimate bases for processing personal data. Describes data subjects’ rights, applications of rights and the obligations of the controller and processor. Outlines options and obligations for transferring data outside the European Economic Area, decisions adequacy and appropriateness of safeguards and derogations. Discusses the applications of European Data Protection (EU GDPR) law, legal bases and compliance requirements for processing personal data in practice for employers – including processing employee data, surveillance, direct marketing, internet technology and communications and outsourcing. You will be eligible to sit the IAPP exam to attain CIPP/E qualification (booked via the IAPP website). Full 2 days training (9.00 am – 5.00 pm) from JAW Consulting UK IAPP Certified CIPP/E trainers. *Please note: Exam costs are included within the fee of this course, however, you will need to book your exam via the IAPP website. This course can also be delivered at your office. ENQUIRE NOW.